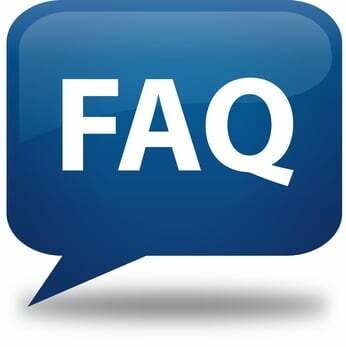 If you need more information about using this website refer to the frequently asked questions below, which link to helpful responses which should resolve your queries. If you still need assistance, please visit our CONTACT for information to send an email to station staff. Q1. What is a Program Episode? Q2. Why did KKFI re-design the website? Q3. What web browsers and browser versions are best to use for the KKFI.org website? Q4. How do I become a monthly sustaining supporter? Tell me more about this type of financial support for KKFI. Q5. A KKFI program host (DJ) mentioned that information about an upcoming show has been published to the website. Where do I find information about upcoming or featured shows? Q6. I am unable to view the KKFI website correctly using Internet Explorer — see image below. What do I need to change with Internet Explorer to view the KKFI website. Q8. How do you get started with Podcasting? Q9. I listen to your station from outside the Kansas City broadcast coverage map through the Internet using a connection a Microsoft Xbox game console. The Adobe Flash streaming option does not work on the Xbox. Is there an HTML5 streaming option? A. An episode is one of the shows in a program series; it’s a unique show. Consider an episode as a web-based promotion of an upcoming show — kind of like a 30-second radio promo, only written for the web. Program Episodes are an important part of the new KKFI website, which allows producers and programmers to promote their weekly radio show. The website committee developed the Program Episode concept to allow each individual programmer or producer to promote his or her weekly show. Visit the UPCOMING EPISODES page to see a full list of upcoming show. Q2. Why did KKFI decide to re-design the website? A. Feedback from KKFI listeners and supporters generated a case for a new website. Also, a survey of community radio station websites indicated changes to the KKFI site could improve communications between various groups at the station — listeners, supporters, staff members, programmers, and volunteers. Most importantly, other station websites have active, updated content on music and public affairs shows. A. A few KKFI website visitors have reported problems viewing the website in general and the ON-AIR GUIDE (Program Schedule) specifically. Earlier versions of Microsoft Internet Explorer will not display the website properly, specifically Internet Explorer version 6 and version 7 do not work. KKFI recommends the following web browser versions. A4. Sustainers make an ongoing monthly contribution — which means we’ll continue to deduct money from your account until you let us know to stop or change it. Go to the DONATE page to make a monthly donation! …is an easy and efficient way for you to support the programs you rely on through secure, automatic monthly payments from your credit card, debit card or bank account. Sustainers make an ongoing monthly contribution — which means we’ll continue to deduct money from your account until you let us know to stop or change it. The satisfaction of making your contribution go further to support the services you rely on. The convenience of regular contributions with the flexibility of making changes at any time. Postage, paper and administrative cost savings — putting more of your contribution into the news and music you value. Spreading your support over time is easier on your budget. Plus it gives KKFI the security of a steady, reliable stream of program support. You’ll feel good knowing that you’re continuing to support KKFI’s vital service to our communities. Saving the environment by helping us cut back on using paper. Note: If you would like to receive a gift for your sustaining donation, then call Warren at 888-931-0901. Remember your financial support is crucial to the ongoing operation of KKFI 90.1 FM — DONATE on a monthly basis today! A5. Only the next 3 “featured” episodes show up on the home page. For example: If today is Monday, December 10 and the program episode is scheduled for December 18, then the episode will not show up under Featured Episodes on the home page until closer to the program date. A podcast is a type of digital media consisting of an episodic series of audio radio, video, PDF, or ePub files subscribed to and downloaded through web syndication or streamed online to a computer or mobile device. The word is a neologism derived from “broadcast” and “pod” from the success of the iPod, as podcasts are often listened to on portable media players. Taken from Wikipedia. Visit the KKFI Audio Archive / Podcast Directory. To subscribe to a podcast, click the icon to obtain the URL of the podcast feed. Simply copy and paste the feed into your preferred podcast software. iTunes users can click on the null icon to be taken directly to the podcast in iTunes, then follow the directions to “subscribe” to a program’s podcast. The next time you synch your iPod or other portable MP3 player, KKFI audio archives will be there for you. Q9. KKFI 90.1 FM modified the “Listen Now” streaming options, provided both a Flash-based and HTML5 option. Here is a link to the HTML5 streaming option.